Born in Naples in 1964, he graduated in Industrial Design in 1985 and became a photographer and graphic designer in 1988. He was Fabrizio Lombardi’s assistant and soon begins working with Maurizio Criscuolo realizing much of the Mededil photographic archive and documenting the construction progress of the Centro Direzionale (Business and Trade Centre) in Naples and CIS in Nola. In 1992 he created the IDRA Photo Productions Studio and began working with advertising agencies, artists, engineering and architecture teams, among which studio Corvino + Multari soon becoming the interpreter of all their creations. At the same time he exhibits “Contrast” (1989), “Campi Flegrei” (1992), “Peloritano” (1994), “Morocco” (1995), “Shadow” (1996), “Spontex” (1997), “Kalca” (2000), “Flegrea” (2004). 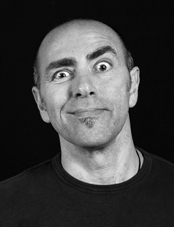 In 2008 he closed the studio Idra and founded Studio F64 with Maurizio Criscuolo.